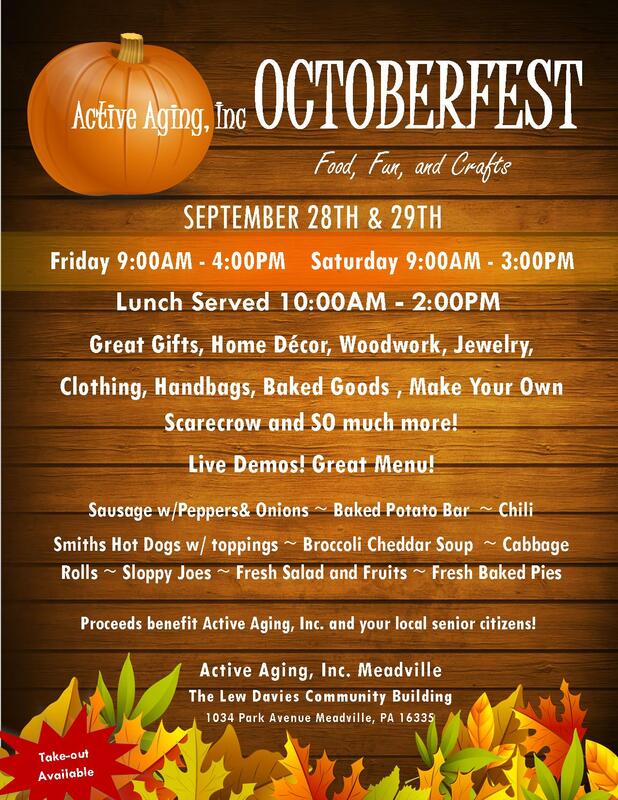 Octoberfest, sponsored by Active Aging, Inc., has been a yearly event that has taken place over the last 20 years. Located in the heart of Meadville, at our very own Community Center of Crawford County at 1034 Park Avenue. Artisans from around the county bring their creations to display and for sale. Held for two days, the last Friday and Saturday in September. The event will not only include vendors but auctions and delicious food, as well. Interested in becoming a vendor at this year’s Octoberfest? Call us at (814)336-1792.